BEIJING: China’s Premier Li Keqiang said on Monday his government is willing to promote bilateral ties and economic cooperation with Malaysia as Malaysian Prime Minister Tun Dr Mahathir Mohamad visited China to discuss trade and investment. The agreements reached on Mahathir’s trip showed the two countries would remain friendly in the long term, Li told a joint news conference at Beijing’s Great Hall of the People. Najib courted Chinese investment and was a cheerleader for President Xi Jinping’s signature Belt and Road Initiative in Southeast Asia during his decade-long rule. However, Mahathir has vowed to discuss the ”unfair” deals on his visit. Addressing Mahathir directly, Li asked if he believed they had consensus on upholding free trade. PRIME Minister Tun Dr Mahathir Mohamad is scheduled to be in Chi­na from August 17 to 21, during which he is expected to meet President Xi Jinping and Premier Li Keqiang. The visit is special because Dr Mahathir is returning to China once again as prime minister after a 17-year gap. His last official visit to China as prime minister was in October 2001 to attend the Apec CEO summit. Dr Mahathir is a regular visitor to China. In the 22 years of his first stint as prime minister (1981-2003), he visited China seven times. He visited nine more times after he retired, making it a total of 16. This coming visit has an added significance because he is leading a different government and there are several touchy issues standing in the way of good relations between the two countries. 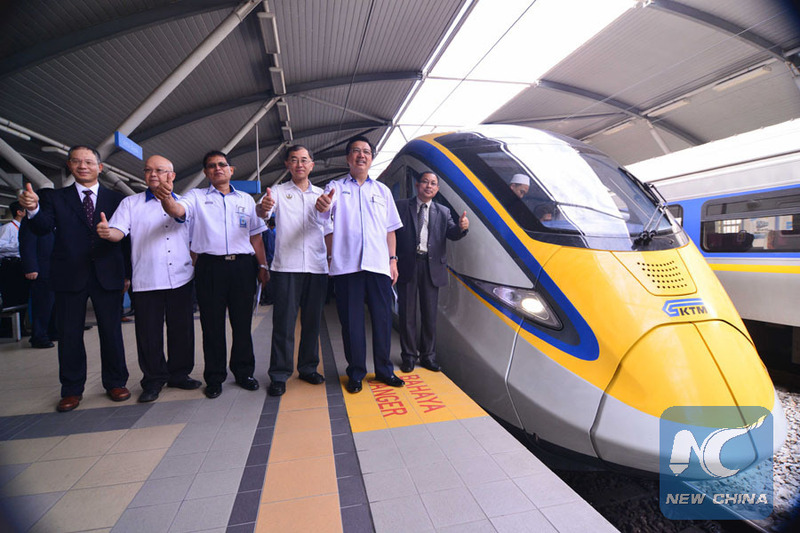 In his previous official visits, he was leading the Barisan Nasional government. In this visit, he is leading Pakatan Harapan which ousted Barisan in the May 9 general election. Chinese leaders are familiar with Barisan. Back in 1974, it was the leader of this newly-formed coalition Tun Abdul Razak Hussein who made the ground-breaking visit to China. That visit resulted in Malaysia becoming one of the earliest countries in South-East Asia to recognise China. Bear in mind that although Indonesia recognised China in 1950, their relationship soured and was suspended between 1967 and 1990. Singapore, a predominantly Chi­nese nation, recognised China only in 1990, and Brunei did so in 1991. The recognition of Taiwan was reflective of Malaysia’s pro-Western stance and staunchly anti-communist policy. The armed communist insurgency starting in 1948 did not help to endear Malaysia to China. With the disbanding of the Malayan Communist Party (MCP) following the 1989 peace accord, which involved the MCP and the governments of Malaysia and Thailand, the Malaysian Chinese Association (MCA) became the last remaining vestige of the Chinese revolution in Malaysia. 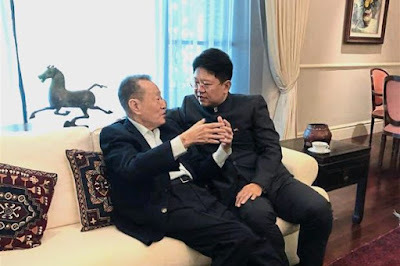 It was no coincidence that while the MCP was fashioned after the Chinese Communist Party (CCP), MCA was the mirror image of the Chinese Nationalist Party, Kuomintang. Abdul Razak’s own party, the United Malay National Organisa­tion (Umno), was staunchly anti-communist. Still, Abdul Razak pulled it off and received overwhelming endorsement from voters at the 1974 general election in which the enlarged Bari­san coalition was contesting for the first time. So, given this very long history of mutually beneficial relationship and Dr Mahathir’s own affinity with China, his visit is not only special but also offers the two countries the opportunity to clarify and sort out issues that could stand in the way of good relations. Dr Mahathir had wanted to visit earlier but time was not favourable. Proving his seriousness about wanting to put the relationship between the new Malaysian government and China on a good footing, he sent Tun Daim Zainuddin as his emissary. Like Dr Mahathir, Daim is a familiar face in Beijing. Back in the 1980s during his first stint as Finance Minister, Daim took an active part in supporting China’s new role in international financial organisations like the Asian Deve­lop­ment Bank, World Bank and the International Monetary Fund. During his visit to Beijing on July 18, Daim handed over Dr Mahathir’s letter to Premier Li and had discussions with Foreign Minister Wang Yi. Among these are the Chinese loans for the construction of the East Coast Railway Line (ECRL) and the little known Suria Strategic Energy Resources Sdn Bhd (SSER) pipeline project. It is highly possible that China, in extending these loans and entering into construction agreements for the projects, was acting in good faith in line with its One Belt One Road (OBOR) policy but along the way, this was perverted by irresponsible elements in Malaysia and China. Neither China nor Malaysia should suffer the embarrassment and financial losses caused by these people and their associates. The relationship between the two countries is too precious to be allowed to be soured by their irresponsible and criminal actions. 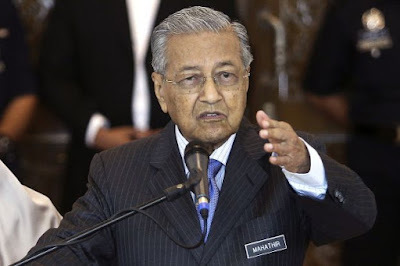 Dr Mahathir said in a recent interview with the Hong Kong-based South China Morning Post that his less-than-favourable view of some Chinese-backed deals, deemed overpriced and lopsided against Malaysian interests, did not mean he was hostile towards Beijing. As Dr Mahathir has pointed out, ­Malaysia and China developed “a very good relationship” during his first tenure as prime minister and there is no reason why this would not continue during his comeback era. KUALA LUMPUR (Aug 16): Prime Minister Tun Dr Mahathir Mohamad will make an official visit to China from tomorrow until Tuesday (Aug 17-21, 2018) at China's Premier of the State Council Li Keqiang's invitation. Malaysia's Foreign Affairs Ministry said in a statement today Dr Mahathir and Li will witness the signing of three memoranda of understanding (MoUs) to mark the strengthening of the Kuala Lumpur-Beijing strategic partnership. The MoUs are in the areas of agriculture and agricommodity, the statement said. According to the statement, Dr Mahathir will be accompanied by his spouse Tun Dr Siti Hasmah Mohd Ali. The delegation includes Foreign Affairs Minister Datuk Saifuddin Abdullah, Primary Industries Minister Teresa Kok Suh Sim, International Trade and Industry Minister Ignatius Darell Leiking, Agriculture and Agro-based Industry Minister Datuk Salahuddin Ayub, Minister in the Prime Minister's Department (Law) Datuk Liew Vui Keong, Entrepreneurship Development Minister Mohd Redzuan Md Yusof and Perak Chief Minister Ahmad Faizal Azumu, according to the statement. "This is the maiden visit by YAB Prime Minister to the PRC (People's Republic of China) after assuming office in May 2018. YAB Prime Minister visited the PRC seven times during his term as the 4th Prime Minister of Malaysia from 1981 to 2003. "During the visit, YAB Prime Minister will be visiting Hangzhou and Beijing. In Hangzhou, YAB Prime Minister is scheduled to meet provincial leaders, undertake a visit to Alibaba Group Corporate Headquarters and Zhejiang Geely Holding Group. In Beijing, YAB Prime Minister will be meeting Premier Li Keqiang and President Xi Jinping respectively to discuss bilateral issues as well as regional and international issues of mutual interest," the statement said.